Welcome to our New Jersey location in the Horizon Corporate Center Office Park at 3000 Atrium Way, Suite 200, Mt. Laurel, NJ 08054. Our 21,000 square foot executive suite has 75 window offices, interior offices and mini-suites to accommodate all your business desires and needs. With Premier Workspaces, you can experience the best of the South New Jersey corporate atmosphere with one monthly invoice and no capital investment. Premier sets the standard in business center operation and management, providing solutions for all of your office and business needs. Surrounded by impressive retail shops, restaurants, banks, and hotel accommodations, our Mt. Laurel facility allows you to enjoy a healthy productive working environment with easy accessibility to Philadelphia with none of the hassles. When you open the polished glass door to our Mt. Laurel center, peering up at the luxurious sky-lit lobby and being greeted with a smile by the receptionist, you know you have arrived. Nestled among the wooded acres and lakes, the Horizon Corporate Center is located on Route 73 near the New Jersey Turnpike & Interstate 295 in the prestigious city of Mt. Laurel, NJ adjacent to Cherry Hill. 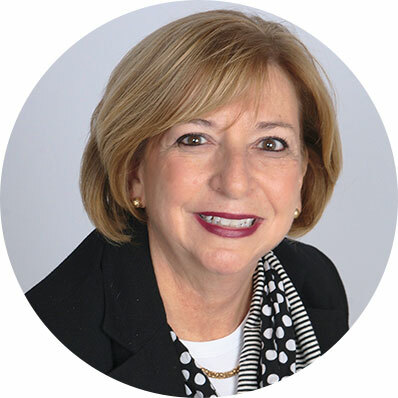 Location is one more detail that makes this Premier center the right move now, it is situated in Burlington County, New Jersey in the heart of the Eastern Seaboard making this location ideal for a Mid-Atlantic presence. Premier Workspaces offers flexible term Mt. Laurel executive suites, including full-service office space, virtual office addresses, day offices, meeting room rentals, and much more. Not only can you obtain immediate occupancy, but we offer short-term agreements that allow you the flexibility to expand or cut back your business space on short notice; a choice not usually available in the conventional Mount Laurel office space market. In addition to an office space, PBC’s Mt. 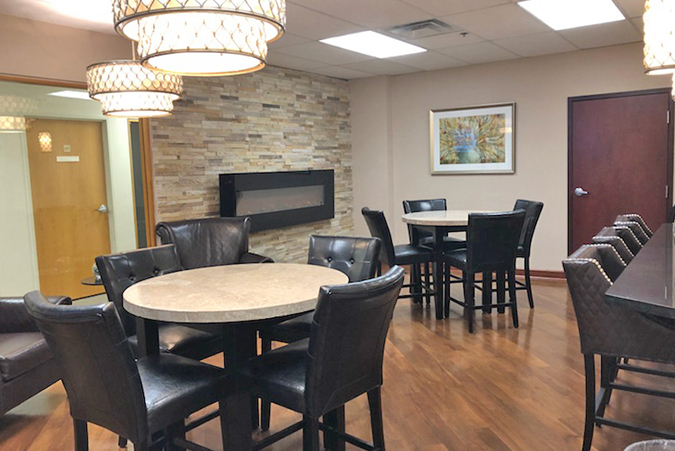 Laurel executive suite offers the tools you need to be a successful business including; high-speed internet access, personalized telephone answering, mail service, voice mail, appointed conference rooms, secretarial services, a reception area, and a kitchen. Providing shared services office space on the 2nd floor of this 5-story office building, Premier has offices starting at 108 square feet for businesses in the South New Jersey area and a professional Mount Laurel virtual address for businesses around the world. The Horizon Corporate Center in Mt. 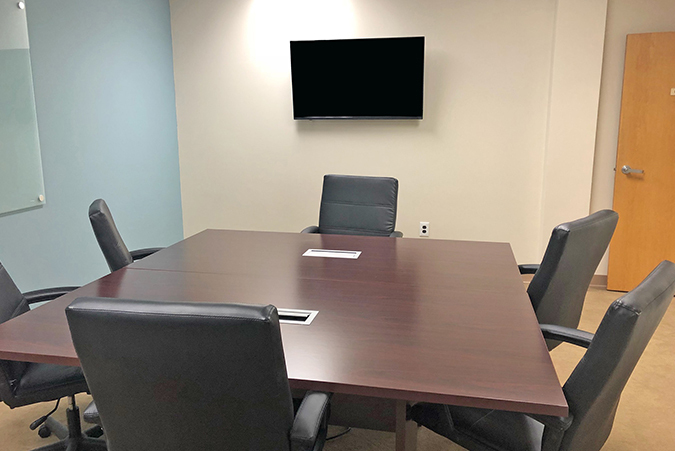 Laurel also offers offices that can be rented by the hour for mobile business professionals and appointed meeting rooms with seats for 1 and 14 people respectively are available for booking by the hour, day, or week. Our Mt. 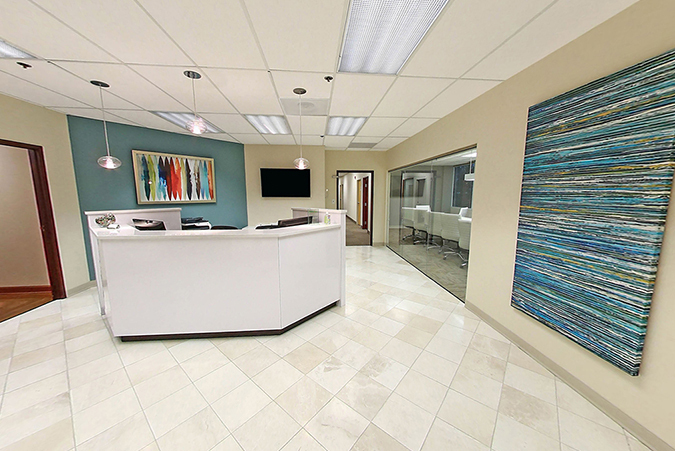 Laurel virtual office plans are ideal for businesses that require a professional address and occasional use of a day office or meeting room. 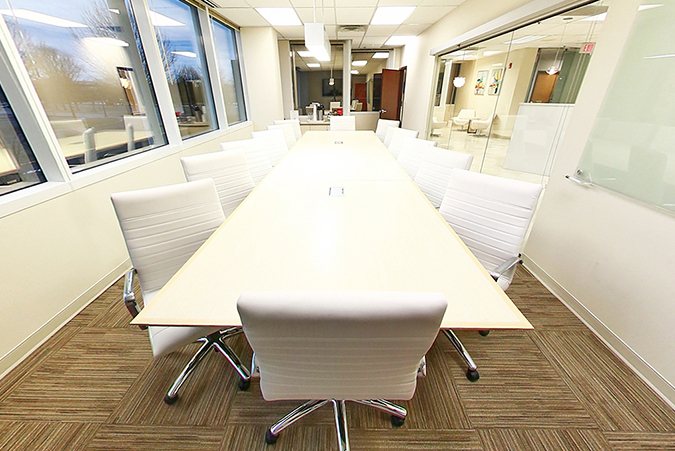 Clients have the opportunity to share a prestigious office space, without having to pay the full-time cost. Premier’s virtual office plans include most of the same benefits provided by a full-time agreement, including a friendly and professional administrative staff. Midway to both New York City and Baltimore/Washington D.C.